Have you watched anything else with Dean Cain? Have you seen anything else with Teri Hatcher? What do you think of Ultra Woman? Why did the recast Ching in s4? In what Season and Episode do Lois and Superman first kiss? Re-watching Lois and Clark has had these ideas bouncing around in my head for a while. The evolution of Lois Lane, the many different types of Superman characters over the years, and the changing of the ethos of Superman. I keep coming back to one point, Kidder's Lois and Reeve's Clark along with Hatcher's Lois and Cain's Clark. Equally loved and cherished by many, and I will not be bashing anyone in particular but may draw some comparisons. Growing up I had many tv shows to watch, but one touched me at the heart. No is wasn't some trivial cartoon, it was the REAL Lois and Clark, The new adventures of Superman. It had excitement, romance, and adventure any 11 year old girl could love. I began watching because a friend of mine in middle school told me about it, at the time it was the talk of the new season of 1993. Seeing the striking man in blue, and his feisty lady I could only imagine what life could be like with them around. You definitely would be living on the edge! or soaring above the clouds. Lois and Clark fansite where wallpapers, icons, fanfictions (PG and N-rated), and show info can be found. a comment was made to the poll: Have you seen anything else with Teri Hatcher? 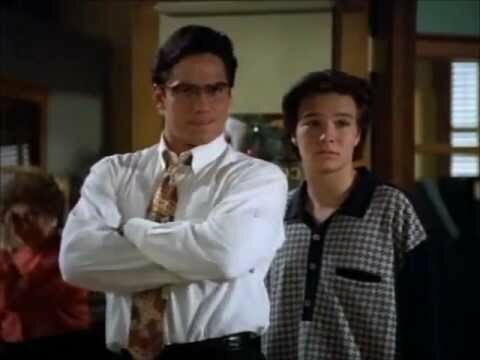 a poll was added: Have you watched anything else with Dean Cain? Which was the first episode written by a cast member?